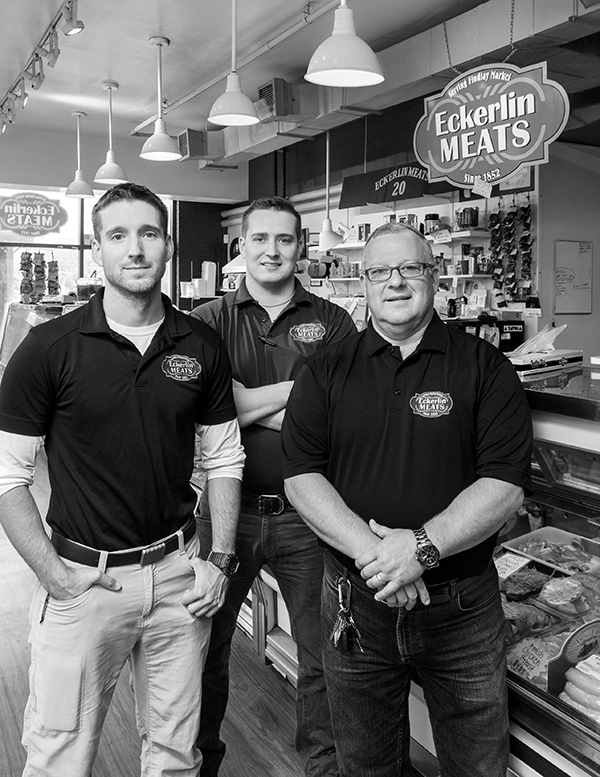 Eckerlin’s presence at Findlay Market dates back to 1852, when owner Bob Lillis’s great-grandfather became the open-air market’s first storekeeper. Now, more than 160 years later, Eckerlin Meats is the only original shop left at Findlay, a testament to the family-run company’s commitment to superb quality and an old-fashioned service ethic delivered by a courteous and knowledgeable staff. Stop in for their house-made goetta, awarded “Best Goetta” twice from Cincinnati Magazine, as well as fresh cuts of Ohio beef, local pork, and quality chicken from Gerber’s Amish Farm, known for its certified humane hatchery and farm operations. Eckerlin’s makes it easy to gather the entire family for your next holiday meal. You’ll find plenty of delicious options, such as mouthwatering prime rib, tenderloin, bison, leg of lamb, and rack of veal, or present a classic spiral-cut ham or locally raised whole turkey as your table’s centerpiece. If you’re not sure what to get, just ask Lillis for a recommendation—he’s been reliably filling customers’ requests for 40 years.